Zenith has a unique specialist lifting capability both onshore and offshore. We design bespoke lifting solutions that give priority to safety whilst proving to be innovative and cost effective. 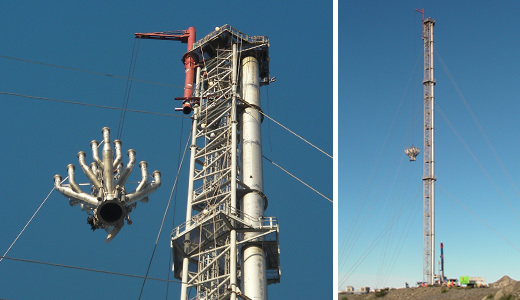 Our temporary lifting davits for flare stack tips has seen Zenith working throughout the world. All lifting systems used by Zenith are taken from concept stage through to detailed design by our in house engineering consultancy. This is done using traditional engineering analysis and design techniques complimented by industry standard computer based analysis and design software. All lifting systems are designed in line with appropriate national standards.